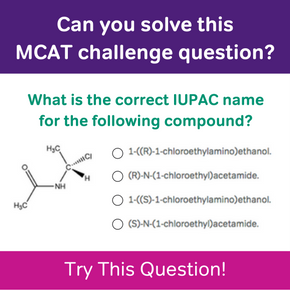 Now that your MCAT prep has boiled down to the last weeks and days, there are a few things you should know if you’re taking the July MCAT. Be strategic – Now is the time to really use your time wisely. These are your last weeks and days before the big test. If you haven’t done so already, create a schedule for yourself. Answering practice questions should be your priority, but if there is still content that you are not comfortable with, then spend time reviewing these topics. However, I would not spend much time within the last two weeks reviewing content—don’t dedicate hours upon hours of this precious time to re-learning content. Your time would be better spent answering questions and reviewing the information you encounter while reviewing your answers. Practice – I cannot stress this enough. Now is the time to polish your test-taking strategies. Get your hands on some full-length practice tests and stand-alone questions and passages and work through them. You should be working through practice questions and practice passages every day right up until the day before your exam is scheduled. There are plenty of resources to check out if you need access to practice questions and practice exams, but because it’s now crunch time, you want to be sure to utilize the practice exams published by the AAMC as well. Be Prepared – Make sure you have your ID (and that your ID is valid), water, medications, and a snack to munch on during breaks. I would recommend that you leave your cell phone or tablet at home or locked in your car, too. It would also be in your best interest to know where the testing center is ahead of time. I’ve made the mistake of relying on my GPS to get me to the site on the day of the MCAT and I have the emotional scars to prove it. I made it to the testing site in plenty of time, but the added stress was NOT worth it. Relax – Did you just chuckle? This is a nugget of advice that is difficult to put in to practice. But it’s important. So, at some point in the last days leading up to the exam take some time to do something that you find soothing (bonus points if you can relax on test day!). Be Honest – Before you take the test, be honest with yourself. 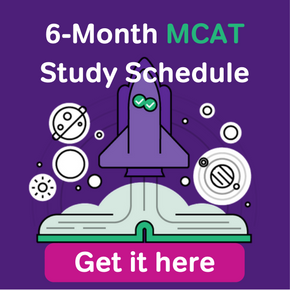 While it’s true that it’s hard to ever really feel ready for the MCAT, you will know in your heart if you need more time to prepare. Many July test-takers feel pressure to take the test as soon as possible since it is getting later in the medical school application cycle. However, the MCAT is not something you should try and “wing”. 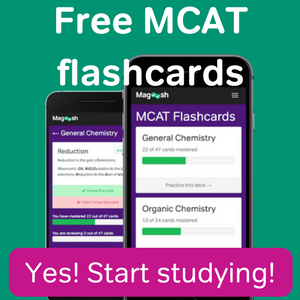 Fortunately, the MCAT is now offered much more frequently. So if you have to reschedule in order to put your best foot forward, then do so.